Miss World Canada to premiere new film on China’s forced organ harvesting at UK Parliament during PM Theresa May’s first visit to China for the G20 Summit. A new film depicting China’s barbaric practice of forced organ harvesting will be shown in the British Parliament, hosted by the Speaker of the House of Commons, The Rt Hon John Bercow MP, on Tuesday 6 September at 6pm. The screening coincides with the G20 summit in China, which is stirring international criticism with regards to pressing human rights concerns in the host country. UK Parliamentarians from both the House of Commons and the House of Lords will be attending the film premiere as well as prominent human rights activists and media. 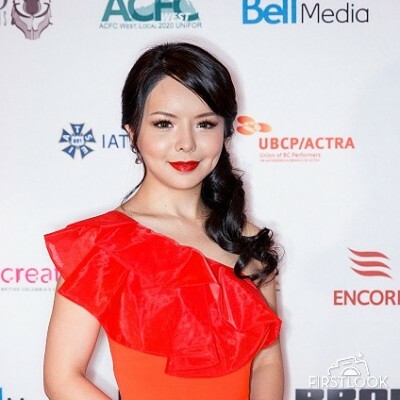 The film, The Bleeding Edge, stars Chinese-born Canadian actress Anastasia Lin, winner of Miss World Canada 2015. Ms. Lin, an outspoken campaigner for human rights in China, was banned from competing in the Miss World final in Sanya, China last year and denied entry to the country because of her political activism. Ms. Lin will be competing again in the upcoming Miss World pageant where she hopes to claim the crown she was denied in 2015. This is the first time a contestant has competed twice in the Miss World pageant. Earlier this year she testified in the British Parliament about the persecution of religious minorities and the practice of forced organ harvesting. 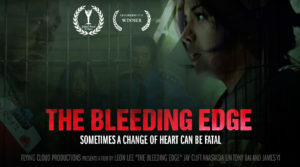 The Bleeding Edge is a narrative thriller by Canadian director Leon Lee, who won a Peabody Award in 2015 for his documentary Human Harvest, about the horrors of forced organ harvesting in China. In the film, Ms. Lin portrays a Falun Gong practitioner who is imprisoned for her spiritual beliefs and suffers human rights atrocities in a Chinese labour camp. Ms. Lin received a 2016 Leo Award for Best Actress for her powerful performance in The Bleeding Edge, which was also the recipient of the coveted 2016 Gabriel Award for Best Film.